Visiting Rome's ancient monuments and museums can be costly, and some of the most famous sites, like the Colosseum, have long lines at the ticket counter. Learn about some of the passes and cards that can help you save time and money on your Rome vacation. By purchasing these passes in advance, you can avoid carrying large sums of money to pay for each entrance, and with some of the passes, you will not need to buy metro or bus tickets. Several sites and most museums, including the four national museums of Rome, are closed on Mondays. The Colosseum, Forum, Palatine Hill, and Pantheon are open. It is a good idea to double check the location's hours before you go. The Roma Pass includes free transportation for three days and free admission for your choice of two museums or sites. After the first two uses, the Roma Pass gives the holder a reduced admission price at 30 museums and archeological sites, exhibitions, and events. Popular sites include the Colosseum, Capitoline Museums, Roman Forum and the Palatine Hill, Villa Borghese Gallery, Castle Sant’Angelo, the ruins at Appia Antica and Ostia Antica, and many contemporary art galleries and museums. 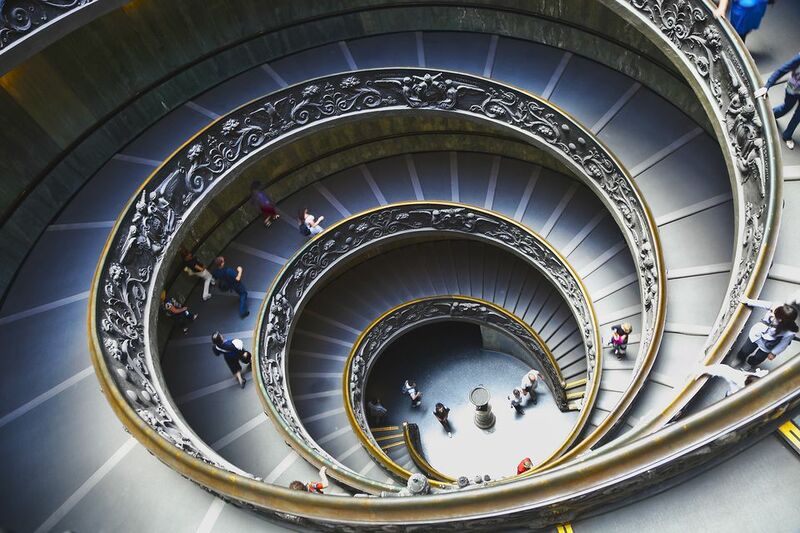 You can buy your Roma Pass online through Viator (recommended, so you have it before you visit the city), and it will also allow you to skip the lines at the Vatican Museums, Sistine Chapel, and St Peter’s Basilica. If you wait until you have your feet on the ground, the Roma Pass can be purchased at Tourist Information Points, including the train station and Fiumicino Airport, travel agencies, hotels, Atac (bus) ticket offices, newsstands, and tabacchi, or tobacco shop. The Roma Pass can also be purchased directly from the museum or site ticket windows. The Archeologia Card, or archeology card, is good for seven days from the first use. The Archeologia Card includes admission to the Colosseum, Roman Forum, the Palatine Hill, Roman National Museum sites, the Baths of Caracalla, the Villa of the Quintili, and the Tomb of Cecilia Metella on the ancient Appian Way. The archeology card can be purchased at the entrance to most of the above sites or from the Rome Visitor Center in Via Parigi 5. The card is good for seven days of free admission (one time per site) starting from the date of the first use. This card does not include transportation. Notoriously, it was the most famous attraction in ancient times, and today, the Roman Colosseum is the top sightseeing spot in Rome. The ticket line at the Roman Colosseum can be very long. To avoid the wait, you can buy a Roma Pass, Archeologia card or join a tour group of the Colosseum. Also, you can buy Colosseum and Roman Forum passes online in U.S. dollars from Viator, and it includes access to Palatine Hill. The Appia Antica Card for touring the ancient Appian Way is good for seven days from the first use and includes admission (one time each) to the Baths of Caracalla, the Villa of the Quintili, and the Tomb of Cecilia Metella. The four museum combination ticket, called the Biglietto 4 Musei, includes one admission to each of the four National Museums of Rome, the Palazzo Altemps, Palazzo Massimo, Diocletian Baths, and Balbi Crypt. The card is good for three days and can be purchased at any of the sites. Transportation passes, good for unlimited rides on buses and the metro within Rome, are available for one day, three days, seven days, and one month. Passes (and single tickets) can be bought at metro stations, tabacchi, or in some bars. Bus tickets and passes cannot be bought on the bus. The pass must be validated on the first use. Passes (and tickets) must be validated by stamping them in the validation machine on the bus or at a machine in the metro station before you enter the metro turnstile.